In Texas, where payday and auto-title lending is a $4-billion-a-year industry with some 3,500 businesses, there are no limits on fees or loan sizes. Texans take out larger loans and pay higher fees than consumers in the nation as a whole. The payday lending controversy that exploded in the governor’s race in recent weeks highlights the state's lack of regulation and the challenge that lawmakers have faced with an issue that has been as contentious at the Capitol as it is on the campaign trail. Last year, a major legislative effort to impose state regulations on lenders failed, and since then, Houston has joined Austin, Dallas, El Paso and San Antonio in passing a city ordinance to limit the loans. Now, the issue of so-called predatory lending is flaring in the gubernatorial race amid calls for the resignation of Gov. Rick Perry's appointed head of the governing board of the agency charged with regulating the credit industry and educating consumers, who is also an executive for one of the lenders. In Texas, where payday and auto-title lending is a $4-billion-a-year industry with some 3,500 businesses, there are no limits on fees or loan sizes. Supporters of the industry say lenders offer a needed service to consumers who have few options for short-term loans. Critics say the businesses prey on struggling Texans by charging high fees and trapping borrowers in a cycle of debt. Texans get larger loans and pay higher fees than consumers in the nation as a whole, according to the Center for Public Policy Priorities, a liberal think tank that has pushed for state reforms. Texans spent $1.2 billion in payday and auto-title fees in 2012, and 35,000 cars in the state were repossessed. Texas was one of 27 states that had payday lending regulations that the Pew Charitable Trusts characterized as permissive in 2013. Fifteen states had no payday loan storefronts, and nine others had stores but also had strict requirements. “So-called consumer advocates often complain that consumers are getting a bad deal, but consumers are voluntarily entering into these arrangements because they need access to capital,” said Peacock, who opposes city ordinances and state legislation that increase regulation of the industry. Payday lending became an issue in the governor’s race when the leading Democratic candidate, state Sen. Wendy Davis, D-Fort Worth, called for the resignation of William White, chairman of the Finance Commission of Texas, following comments he made to the El Paso Times in December. White, a vice president of payday lender Cash America, told that newspaper that nobody forces anyone into loans and that “people are responsible for their decisions.” The campaign of Republican gubernatorial front-runner Greg Abbott has pointed out that Davis voted to confirm White in 2011. Davis has also drawn attention to a 2006 letter written by Abbott, the state’s attorney general, that she said created a loophole for payday lenders when it said there is no limit to fees that may be charged by lenders operating as credit service organizations. Abbott’s campaign has said Davis' loophole claim is false. In the Senate, Davis has called for more state regulation of payday lending. Abbott campaign spokesman Matt Hirsch said Abbott would be "open to any and all reforms that will make Texas better." 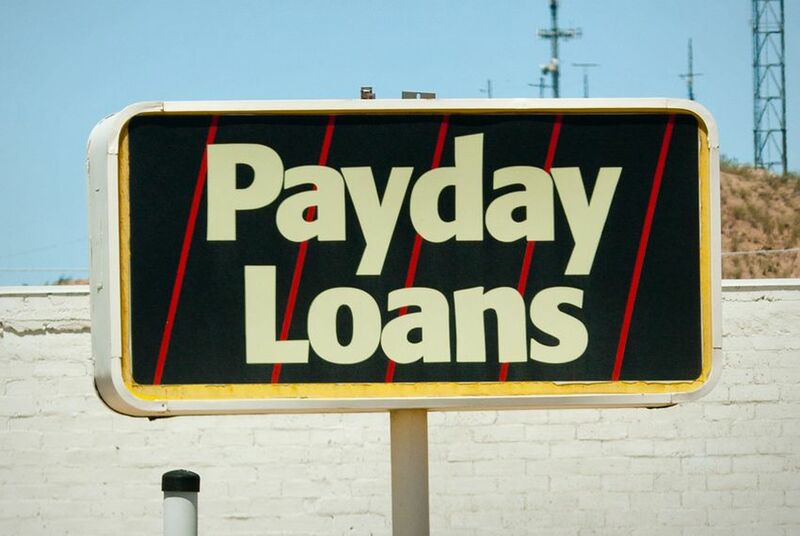 During the 2013 legislative session, lenders joined consumer advocates in working with lawmakers to craft legislation to create uniform regulations for payday lenders across the state. But there were sharp disagreements over the details of those regulations, and on the Senate floor, Davis and others added amendments to the bill that its author, Sen. John Carona, R-Dallas, said left it with little hope of passage. Since its failure, Houston, the state's largest city, became the latest to adopt its own rules for payday lenders. Houston's ordinance, which is similar to those passed in other Texas cities, limits payday loans to 20 percent of the borrower’s gross monthly income. It limits loans to no more than four installments or three renewals and requires that the proceeds from each installment or renewal reduce the loan principal by 25 percent. Ellis said passing the ordinance was a “big coup” over industry opposition. State Sen. Sylvia Garcia, D-Houston, said it would protect families and foreshadowed future state-level action. “For too long, the working families of Houston have been preyed upon by payday lenders as they tried to survive from month to month,” Garcia said in a statement when the ordinance passed in December with the support of a coalition including religious leaders and AARP. But the ordinances in Houston and other cities might be unenforceable or invalidated by courts, said Carona, chairman of the Senate Committee on Business and Commerce. Carona said the legislation he proposed last year would have saved Texas consumers millions of dollars in fees, protecting them “from the cycle of debt while preserving their access to credit and the basic fundamentals that support our free-market economy.” The proposal would have pegged the maximum permissible loan a lender could offer to a borrower’s monthly income, limited the number of financial products lenders could offer and capped the number of times an indebted borrower could refinance a loan. After the failure of the state legislation, which would have pre-empted local ordinances, Houston Mayor Annise Parker moved forward with her proposal. Rob Norcross, a spokesman for the Consumer Service Alliance of Texas, said the trade association or its members “reluctantly” expect to sue Houston and El Paso over the cities’ ordinances, as they have done in Austin, Dallas, San Antonio and Denton. The Dallas ordinance isn’t working, Norcross said. More than 75 payday lending stores have closed in the past two years, resulting in the loss of 200 jobs, he said. The ordinance is forcing consumers to drive to a neighboring city for loans or to bounce checks because they can’t get the type of loan they need in Dallas, he said. Norcross said much of the criticism of the industry results from people not understanding the numbers, such as how annual percentage rates work for small, short-term loans. An interest rate of 400 percent may sound high to people until they learn that could mean that someone borrowed $100 and had to pay back $117, he said. While the alliance has concerns about city ordinances, it has always been in favor of a statewide regulatory framework over city ordinances, Norcross said. While legislation failed to pass in 2013, lawmakers did pass measures in 2011 requiring payday and auto-title lenders to be licensed by the state and to post a schedule of fees in a visible place. Consumer advocates said those laws didn't go far enough. Don Baylor Jr., a senior policy analyst at the Center for Public Policy Priorities, said he is pessimistic about chances that the Legislature will pass statewide reforms in 2015, in part because cities with ordinances don’t want to lose local control. Carona said in an email that he would continue to work toward reform but that it was an uphill battle. “Given the political environment at the Capitol, I am deeply concerned that we will have an even tougher time passing significant reforms during the next legislative session,” Carona wrote. Additional reporting by Jay Root.